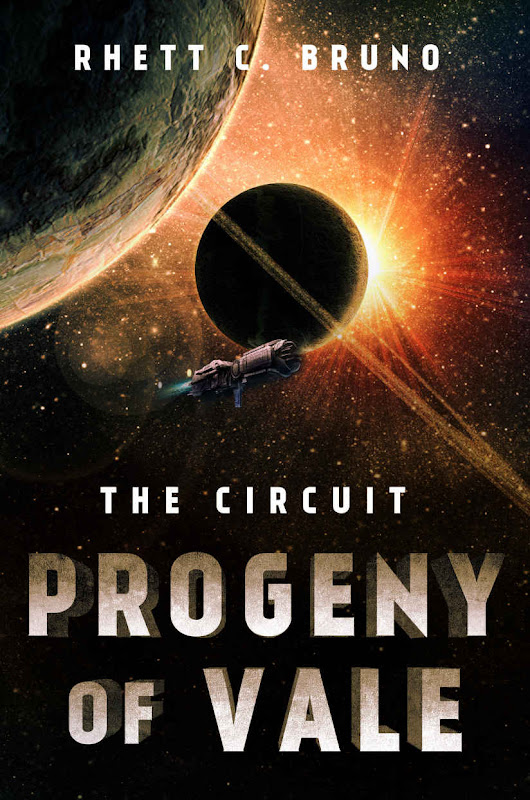 I have finally got the chance to read THE CIRCUIT: PROGENY OF VALE by Rhett C. Bruno. It’s the sequel to THE CIRCUIT: EXECUTOR RISING. And again, I just have to say that this story should have been one long book instead of cut into three parts. You have to read the first and last part too. You can’t just read one of the books because the story ends like a “Too be continued” ending. But The Circuit is an excellent Space Opera science fiction story, so it’s definitely worth reading it, that’s for sure. It’s the best space opera I’ve ever read. I’ve got an ARC of the last part - THE CIRCUIT: EARTHFALL, and can hardly wait to read the ending of the complete story. In part two, Progeny of Vale - Cassius Vale has drawn the Circuit into open war, together with his really cool Android partner ADIM as his protector. And Sage Volus fights for her life and struggles what to believe about Cassius Vale, The Tribune, or herself. Talon Rayne has started a quest to hold his daughter and revenge his people’s most hated foe. These four individuals draw closer and closer together even if they don’t want it, but slowly realize that they need each other. It will be very exciting to read the ending of this very interesting, thrilling and exciting science-fiction story! I give this part 5/5 in a score. Even if I would have wanted it as one long story instead of three parts.